However, President Joko “Jokowi” Widodo has said he wanted Indonesia to further increase coal production to 585 million by year-end as part of efforts to narrow the current-account deficit (CAD). “Yesterday [Tuesday], during the limited Cabinet meeting, the President said that we needed foreign exchange. He raised the possibility of increasing coal production by 100 million tons,” Energy and Mineral Resources Ministry spokesman Agung Pribadi said on Wednesday. He claimed that one coal miner was ready to increase its production by 25 million tons worth around US$1.5 billion. Speaking about the country’s meager coal production in the first half 2018, Agung claimed some companies had not reported their output and expressed confidence that coal miners would be able to meet the new production target. “Coal [mining] is affected by the weather. Rainfall could reduce coal productivity. But the companies have their own calculations on their technical operations. Good’s willing, the target could be achieved,” Agung added. 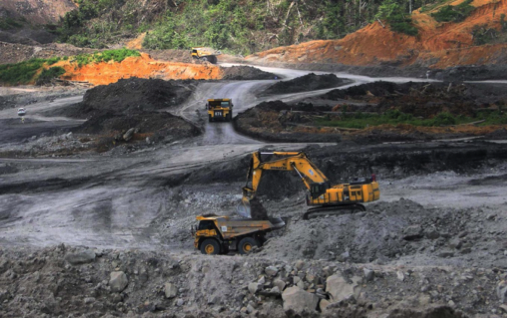 Meanwhile, Indonesian Coal Miners Association (APBI) director executive Hendra Sinadia confirmed that coal production in the first half had been hampered by bad weather. “Our production in the second half will increase significantly. But whether we could meet the target, it is our challenge,” Hendra said as reported by kontan.co.id, adding that coal miners welcomed the government’s plan to boost coal production this year in an effort to boost exports.